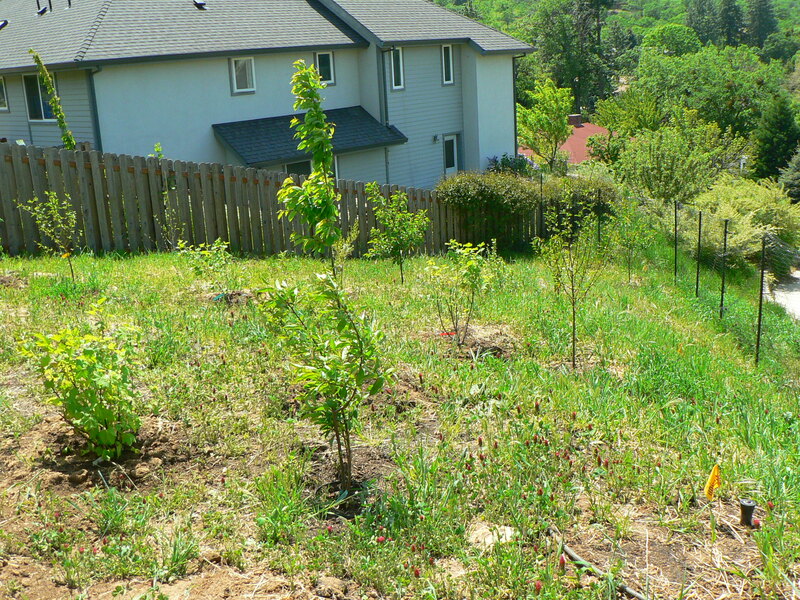 This food forest/edible landscape design project was on a new construction in Ashland, Oregon. The site was almost completely bare when we started the design so we started with soil building covercrops. The design called for planting within an area with many deer so we had to fence off the vegetables and fruits from the deer. 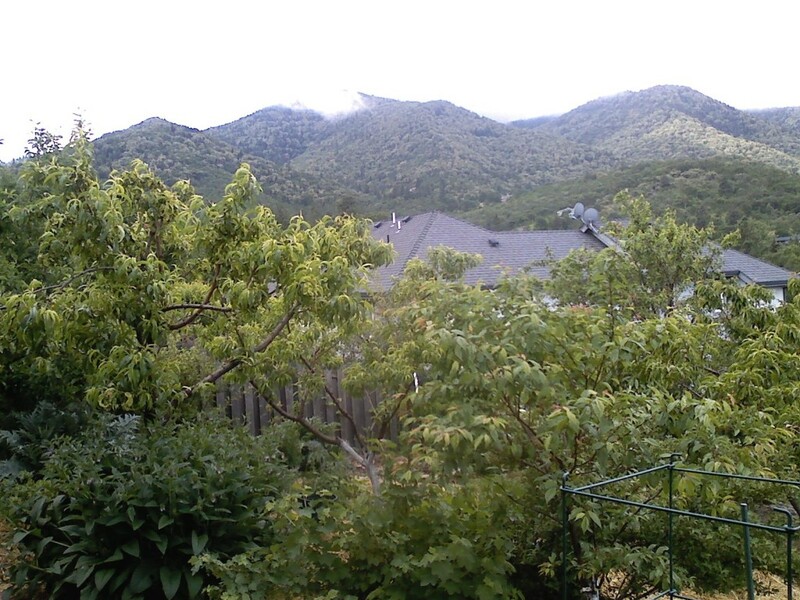 This garden is one of the most diverse plantings in Ashland. The design called for dense planting of over story trees with berries and vegetables in the under story. 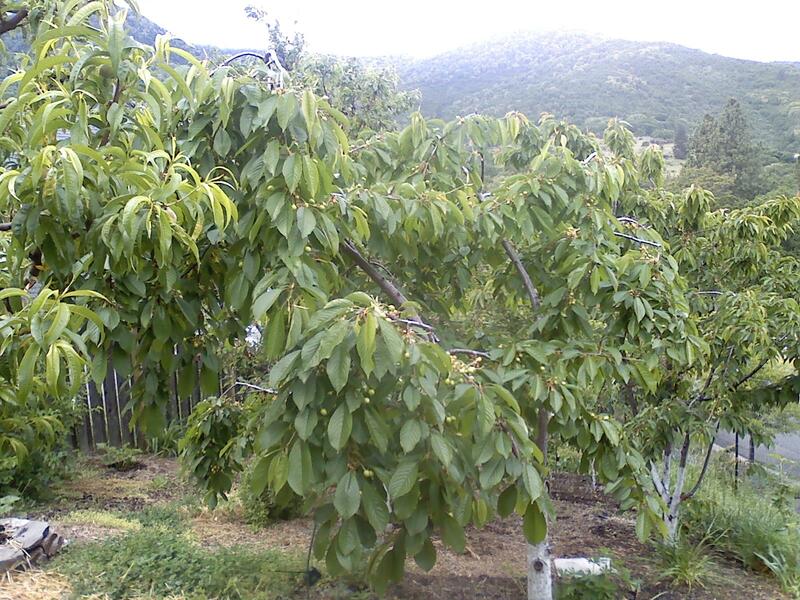 Currently the food forest contains: Apples, pears, cherries, plums, nectarines, almonds, mulberry, goumi, goji, red currants, blueberries, cornelian cherry, persimmon, olives, silverberry, autumn olive, peaches, raspberry, and blackberry.